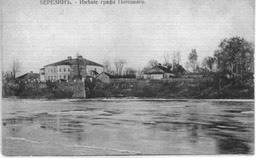 Potoki Manor, side facing river. Photo by Aleksandrs Feigmanis. Potocki Manor, front entrance. Photo by Aleksandr Feigmanis. 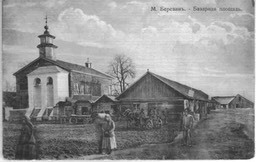 Former market place, Byerazino. Photo by Aleksandrs Feigmanis. Old green house, Byerazino. Photo by Aleksandrs Feigmanis. 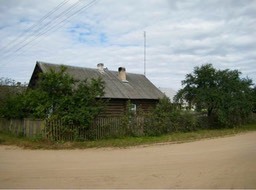 Old House in Byerazino. Photo by Howard Blue. 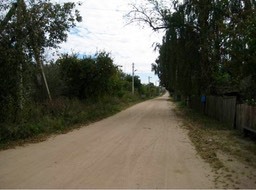 Site of Shaya and Raisa Buslovich’s home. Photo by Joseph Buslovich. 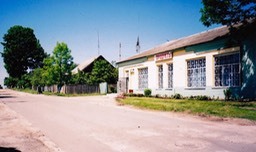 Street in Berazino. 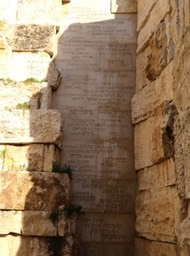 Donated by Sandy Hirschhorn. 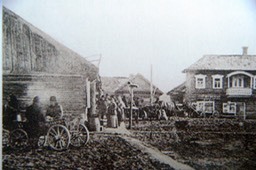 Home of Zalman and Esther Buslovich (brown house, second from right). Photo by Joseph Buslovich. Monument, Internationalnaya Street: "Here lay the remains of 940 citizens from the town of Berezino, shot and tortured by German fascist invaders in 1942." Photo by Aleksandrs Feigmanis. 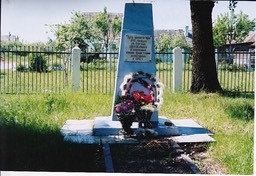 Memorial at Internationalnaya Street Murder Site. Photo by Aleksandrs Feigmanis. 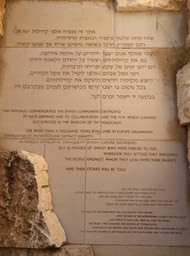 Old Jewish Cemetery. 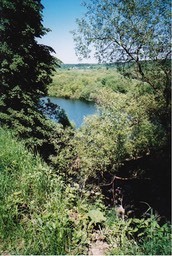 Photo by Joseph Buslovich.